LinkedIn is the world's largest professional network with 200 million members in 200 countries. 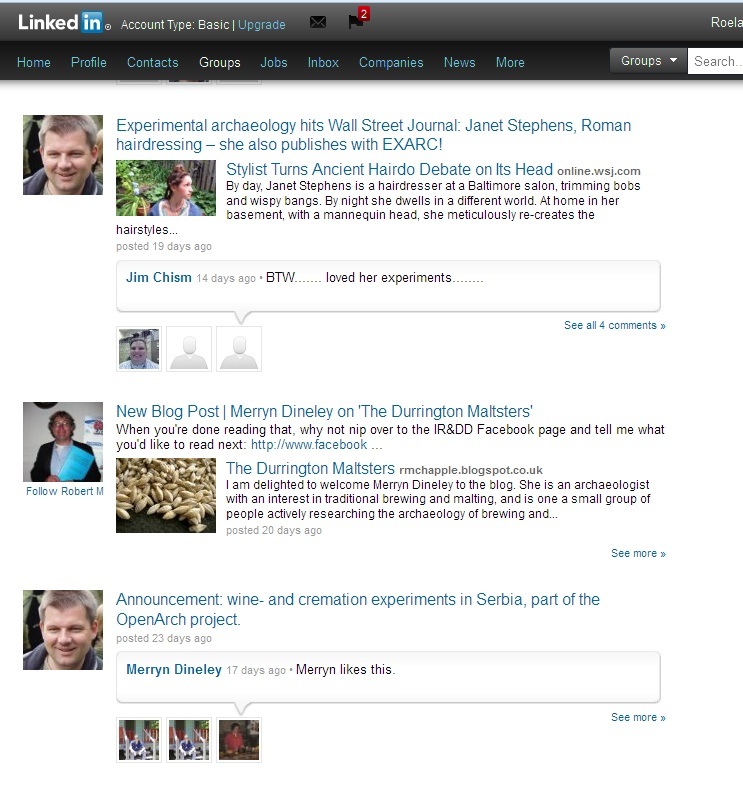 November 2011, EXARC pumped life into the experimental archaeology group, following LinkedIn’s mission: to connect the world's professionals to make them more productive and successful. Over less than 1.5 years, this group grew out to 1,000 members! This group enables EXARC members to engage with other relevant professionals around the globe. 22% is in research, 18% in museums, a very useful group for active EXARC members.